It looks like the crossover demographic between Mario Kart fans and neo-Nazis is about to be disappointed. 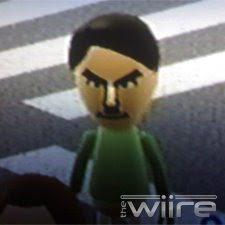 Apparently through rigorous field testing, Nintendo Everything has found that attempting to connect to an online game of Mario Kart Wii with the Mii license "Hitler" results in a message stating that the name is not allowed and must be changed to connect. Stalin, Osama, and Saddam, however, continue to be allowed through, and Mussolini continues to be too long.